There are many-a-website to choose from to soothe the Democrats frayed nerves when it comes to realizing the so-called Blue Wave just isn’t materializing. Many will tell you if the election were held today the divide in the US Senate would remain the same at 51-49 in favor of the GOP. I can guarantee you that is simply not the case. I will get to the House soon but today I am focused on the Upper Chamber. Let me go through the big races one at a time. West Virginia could represent another fertile field for Republican investment and was considered one of the best opportunities for a GOP win but right-leaning Democrat Joe Manchin is well liked and in new polls has a solid 10-point lead. That could still change or Manchin could do the right thing and join the Republican Party but for now this looks to remain with the Blue Team. In Nevada Dean Heller is hanging on by his fingernails. 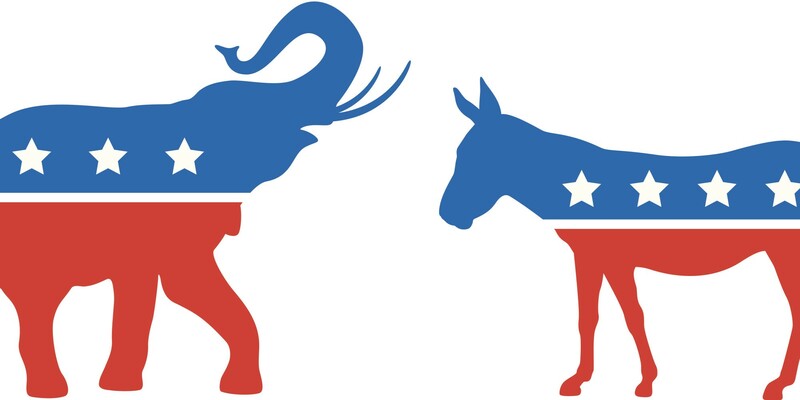 The Republican is the Democrats best chance to add a red seat to the other side of the aisle. But in the latest polling Heller is clinging to a one-point lead over Jacky Rosen. This remains one of the few real toss up races in the country and right now it looks to remain with the GOP. Arizona will remain red with Martha McSally a war veteran taking over the seat currently occupied by the weakest cry-baby in the entire Republican Party Jeff Flake. She will fly shotgun for Senator John McCain until he leaves the body for the last time. Ohio, Pennsylvania and Michigan remain pipe dreams for the GOP at least for now but there is one more dark blue state that could create big problems for the left and that is Minnesota. The state is reliably left and gave us such marvels as Governor Jesse Ventura and Senator Al Franken. This time around it seems however it may be in play. In a special election Senator Tina Smith who replaced Franken when he resigned amid a sexual assault scandal is facing a strong challenge from Republican State Senator Karin Housley. The latest polls are all in the single digits and one showed Smith with a thin 4-point lead. Remember that many in Minnesota see plenty of TV from Iowa and college girls getting murdered by illegal aliens don’t boost voter support for open borders and sanctuary cities. This is still Blue Country but well worth watching. The one last surprise on the board maybe shouldn’t be but it caught my attention nonetheless and that is New Jersey. If a Democrat winning in Alabama was shocking then a Republican unseating ethically challenged Bob Menendez would be equally so. Menendez has been the focus of nearly endless probes and currently he only holds a single digit lead over Bob Hugin a former US Marine and successful business owner. This one is still blue but worth keeping an eye on. The bottom line today is this; despite the 24 hour a day attacks on President Donald Trump and Republicans and their supporters, the GOP is on its way to picking up several seats in the US Senate as of today. If the election were being held today Republicans would see their advantage grow by 6 seats which is very much in line with my prediction of a 4-6 seat gain by Republicans in the Senate. On the weak side the GOP could get just a 4 seat boost to 55 seats but on the high side they could claim 57 and if there is a surge for the right come Election Day in places like Minnesota and New Jersey you could see a real shocker with the right knocking on the door of a 60 seat super majority. Tell your friends and let em know you heard it here first.